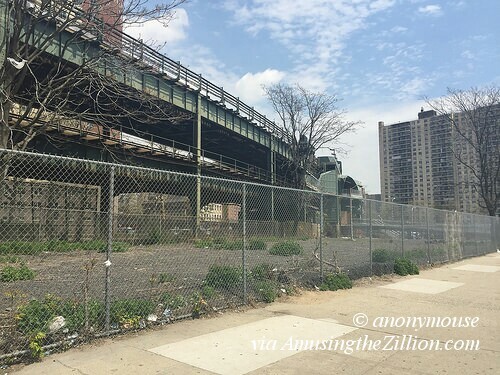 The new owners of a long vacant lot on the north side of Surf Avenue directly across from the Cyclone roller coaster in Coney Island are seeking ideas for seasonal use. “We’re looking to do something in the short term,” Igor Oberman of PYE Properties told ATZ. Arts and crafts, food market, food trucks, and amusement attractions are a few of the possibilities. “We’re brainstorming ideas as to what uses we could put the site this summer. It looks like Thor has got the food vendors to come out,” said Oberman, referring to the Smorgasburg vendors coming to Stillwell Avenue. “Any of your ideas would be appreciated.” Oberman may be reached at PYE Properties at igor[AT]pyeproperties[dot]com. A kiddie ride park,a go kart track and a flea market housed in shipping containers have occupied the lot in the past. Bumper cars and other amusements were in the building on the site which was torn down in the 1950s. Until the early ’80s the north side of Surf Avenue was home to individually-owned penny arcades and a variety of rides including carousels and even a Jumbo Jet-style coaster. 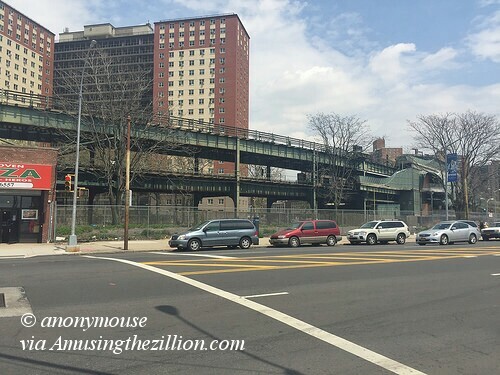 Since the rezoning of Coney Island, the north side of Surf has seen restaurants such as Grimaldi’s, Applebee’s, and Subway Cafe rapidly replacing furniture stores and vacant lots. A Johnny Rockets franchise is under construction and IHOP signed a lease in February. Mom & Pops on the north side include Chill party space, Red Door Bar & Grill (formerly Coney Island Bar & Grill), and Piece of Velvet Cupcakes. Last year ATZ asked “Will Coney Island’s Surf Ave Become a Mecca for Franchises?” (December 19, 2012). The latest in a slew of chains and franchisees betting on the new, year-round Coney Island is a Subway Cafe with a “Tuscany-style interior” featuring sofas and a fireplace. Broker Joe Vitacco signed a lease yesterday with the restaurant chain for the 1,700 square foot cafe at 1019 Surf Avenue across the street from Luna Park. 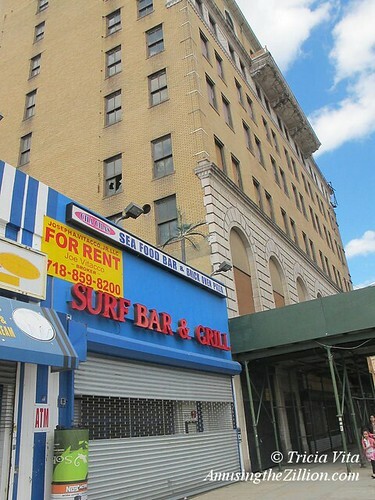 Just how pricey is Coney Island’s Surf Avenue? The building at 1019-1039 Surf was purchased for $3.1 million by 1019 Surf Ave Acquisition LLC in March for $3.1 million, according to Property Shark. 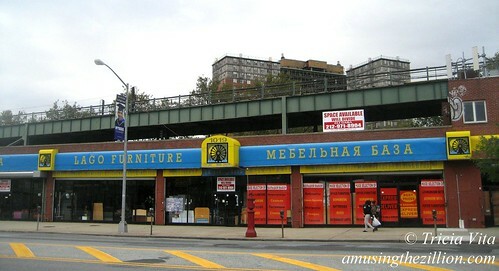 Vitacco says the buyer was Russian multi-millionaire Yakov Yakubov, who also owns Loehmann’s Plaza in Brooklyn. 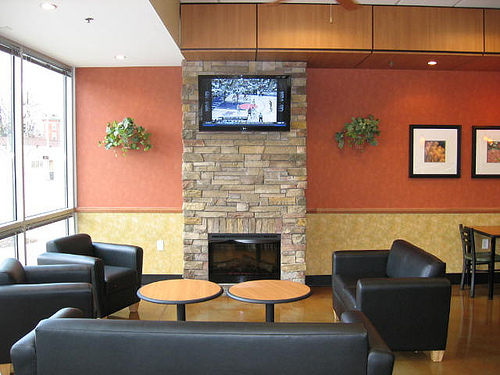 First introduced as a restaurant concept in 2008, the Subway Cafe’s decor and layout aim for a “coffeehouse ambiance” and is a little larger than an average Subway. The north side of Surf Avenue already has a Subway, located down the street in Stillwell Terminal, but it does not sell coffee. In addition to Subway sandwiches, the new cafe’s expanded menu includes baked goods, dessert items and coffee offerings. Part sandwich shop, part coffee bar, the Subway Cafe will be operated by franchisees with its lease held by the Subway Restaurant chain. They will take possession of a portion of the storefront occupied by the 11,000 square foot Lago Furniture. The furniture shop is on a month-to-month lease while tenants are sought for the rest of the space, Vitacco said. Until the early 1980′s the north side of Surf Avenue was home to individually-owned penny arcades and a variety of rides including bumper cars, carousels and even a Jumbo Jet-style coaster. Philips Candy Store, now located in Staten Island, was the anchor of Stillwell Terminal from 1930 until 2000 when the terminal was rebuilt and they had to move out. 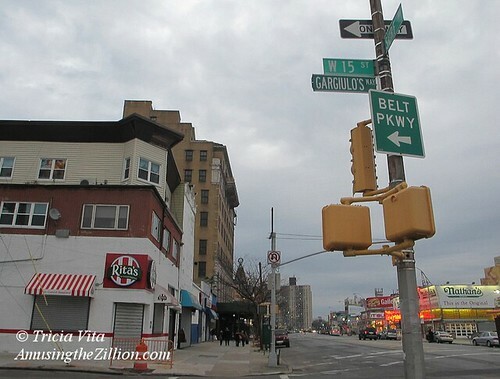 By the time the last ride– Coney Island’s B & B Carousell —closed in 2005, the north side was known as the wrong side of Surf Avenue to locate a business because of the lack of foot traffic.